If you want to have quality speakers for your home then you might want to get Alexa. You can purchase them at very low prices from popular UK retailers including eBay, Amazon, and Argos. There are lots of models for you to choose from. There are portable Wi-Fi speakers that you can bring anywhere you go. If you want to save some money on your Alexa purchases, you should use the latest discount codes upon checkout. You can save as much as 25% or take advantage of the free delivery offer. Save on Amazon Alexa with the latest voucher codes here at Latest Deals! Alexa is the mind of Alexa and Echo devices. To use it is really simple. It is just like asking a question, and it replies right away. Day by day, Alexa just gets smarter. If you are wise enough to own a device enabled by it, you can expect for it to be updated right away. You may begin by researching what Alexa can do. Afterward, you may try exploring it and discover how it is going to make your life even more convenient. Visit Amazon and find out the wide array of products connected to Alexa. Starting from music & entertainment, calling & messaging, news & information, fun & games to shopping - there are just many items supported by Alexa that you can buy these days. If you are into creating a personalised experience for you and your family, it is never too late to build a house that is controlled by Alexa. 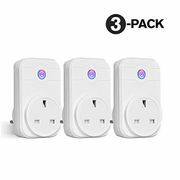 As a user, you can utilise it to have a control on your home devices like door locks, cameras, lighting, thermostats and entertainment systems. Make the most of these Alexa-enabled devices and make them present in your home. 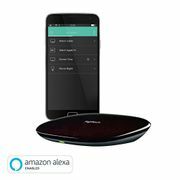 Where Can I Find Cheap Alexa UK Deals? Latest Deals has discount codes, sales, special offers and freebies for its loyal members. 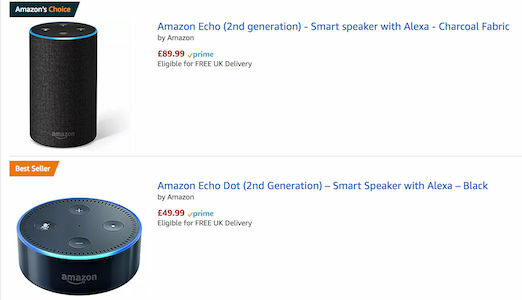 If you are searching for Amazon Echo dot deals, Amazon Echo 50 off, Amazon Echo Prime Discount and Amazon Alexa deals UK, you have come to the right place. By signing up, you are surely going to enjoy bargains. 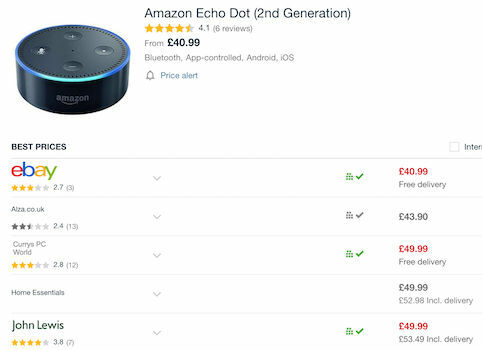 With our team of money-saving experts and a massive community of bargain hunters online who are updated with affordable deals on Amazon Echo UK, you will find it simple to look for Amazon Echo deals that will suit your needs and budget. 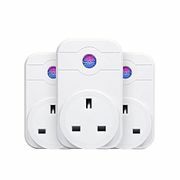 All of these and more are from your major UK retailers including Argos, Currys, eBay, John Lewis, Maplin and more. Amazon. Of course, this top-rated retailer is a part of this list. 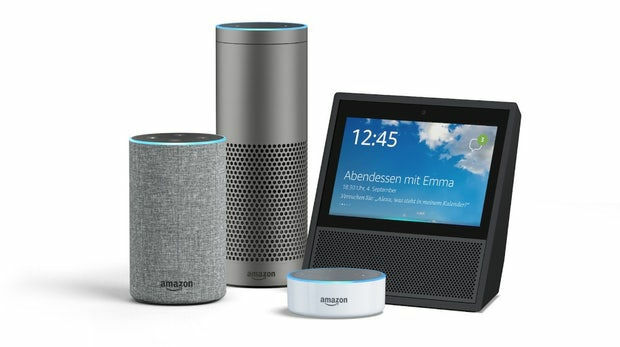 Visit Amazon and experience major price reductions on charcoal fabric smart speakers, Echo show, Fire TV with Ultra HD and Alexa Voice Remote, tablet, spotlight cam wired, Echo Spot Adjustable Stand, white lighting starter kit, indoor home security camera, among many other products. Argos. If you are looking for Alexa-enabled speakers, Argos has a ton of selections for you. Save extra from its clearance sale and pick from docking stations and speakers with limited stock technology and home audio as well. Currys. 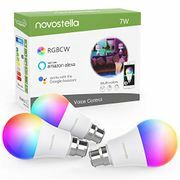 Visit Currys and select from Amazon Fire 7 Tablet, Amazon Echo Dot, Fire Kids Edition Tablet, Fire TV Stick, Amazon Echo Show, Amazon Fire HD, Amazon Echo Plus & Wireless Bulb Bundle and a lot more. As you shop, save 25% off on your purchase or spare a maximum of £40 as you get two Amazon Fire Kids Tablets. eBay. Shop at eBay today and enjoy at least 20% off from your purchase. From a smart speaker WIFI bluetooth voice, Amazon Echo Show, compatible hub and smart plugs, Amazon Fire TV Stick and Smart Plug Wifi Socket, you will not run out of affordable options to select from with this retailer. Qvcuk. Discover Qvuck and take advantage of a £5 as you become its shopper for the first time. Aside from this, check out its price drops on Amazon Echo Spot Smart Speaker, Amazon Echo Show, Amazon Echo 2nd Generation and TP-Link and save extra from your shopping. Do not fail to watch out for these retailers if you want the best deals for Alexa-enabled devices. Music & Entertainment. With Alexa, you can listen to various music services including Tunelm, Amazon Music, Pandora, Spotify Premium and iHeartRadio. If you are an Amazon Prime Member, then you are entitled an access to almost 2 million songs stored on Prime Music. It does not matter what genre, era or mood you prefer - you are covered. Subscribers of Amazon Music Unlimited Family Plan are enabled to set up their voice profiles which allow Alexa to be customised based on the voice of every family member you have. In here, their music tastes will be taken into account. Another feature of this is that if you are connected with Amazon Music, you have the freedom to block songs which have explicit content and lyrics. You will only ask Alexa to block the songs for you. Calling & Messaging. With any device (be it your mobile or your table) that is supported by either Alexa or Echo, you can call or message anyone you need to without spending a cent. If for instance, you are busy making dinner and you cannot get hold of your gadget, you do not have to worry because you can ask Alexa to do the task for you. If you have other Echo devices in your home that you want to be connected with, you just have to drop in and voila - you’re done! Drop is is already an additional feature (optional) that assists in connecting instantly, hands free. If you have Echo devices which are supported by Drop In, you can ask quick questions and make simple conversation with family. For example, you need to ask someone from your kitchen what time the dinner is going to be ready and you are from another room - that is going to be easy with the Alexa mobile app. House Help. You can be cooking or sleeping, you can count on Alexa to watch over your home. You only have to enable your timers & alarms. With every Alexa account is a Shopping and To-do list as well. However, the twist is that you can just use your voice to add items simply. The same is also true if you want to access what you have jotted. Apart from this, there is also the calendar function that is linked to Google. In addition, if you are in need of a companion in preparing your food, Alexa is also there for you. Besides being a good partner in the kitchen, Alexa is also detailed when it comes to giving you important reminders. So if you have important tasks or events that you want to remember, you can be relieved because Alexa is there to buzz you on the right time. She will also send you certain notifications right in your phone so you do not have to worry forgetting birthdays and gatherings at all. Smart Home. Do you need to switch on the lamp but too lazy to get out of bed? Do you suddenly have to turn on the heater, but you are still busy with something? With Alexa, you can do any of these without even lifting a finger. Yes! That is possible. This is what Echo Show or Echo Spot is for. If you have smart cameras which are compatible, it would be simple to open an application with your phone.